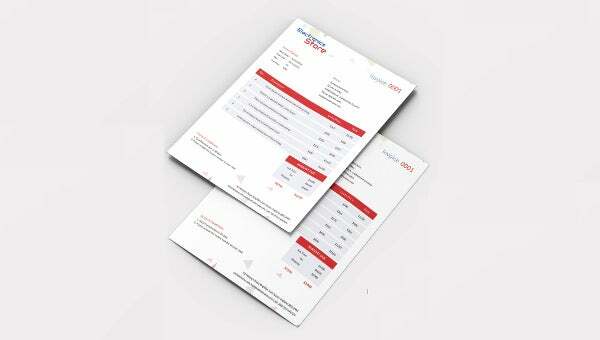 Draft professional looking invoice with the help of our specially designed electronics store Invoice Templates. These templates are very easy to use and are fully layered file so you can customise these templates according to your choice of text. These are high resolution files that are available in the size A4 and easy edit options are also provided for your desirable changes. 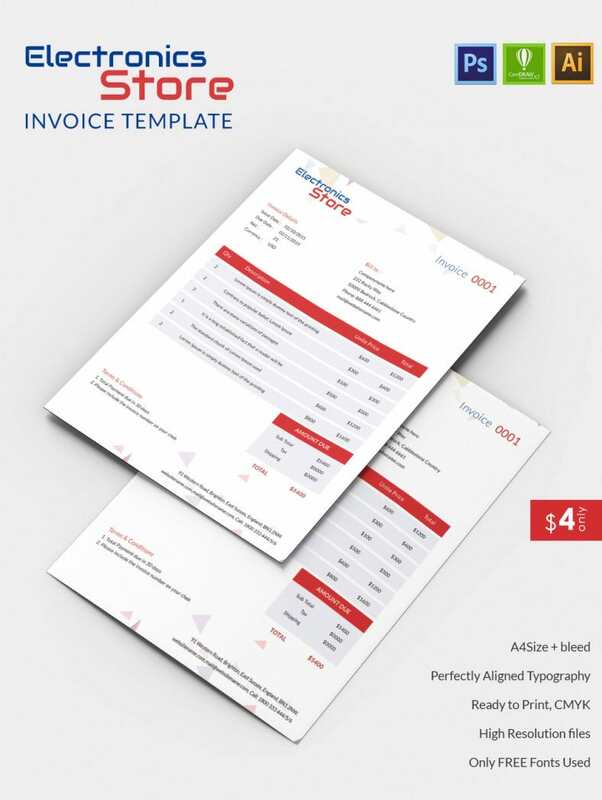 Download these templates today that includes are unique and new designs to create perfect invoices for your electronic store. These files are ready to print and have colour mode CMYK with perfectly aligned typography.